Happy New Year and welcome to 2019! I hope you all had a Blessed Holiday Season and your 2019 is off to a great start! As mentioned last month, Democrats now control the House beginning Jan 3rd for the 116th Congress. And Nancy Pelosi is the new Speaker in one of the closest races in many years. How this will affect NAHU initiatives is yet to be seen. As a reminder, here in IN, Democrats maintained their two house seats and Republicans retained their seven seats. This includes two new Congressmen – Jim Baird in the 4th District and Greg Pence in the 6th District. In addition, Republican Mike Braun defeated Democrat Senator Joe Donnelly and began representing IN January 3rd. ISAHU members Susan Rider, David Berman and Dwight “D” Hall traveled to Washington, D.C. on Jan 3rd to attend swearing in festivities and met with either office holders or their staff in 8 of the 11 IN delegation’s offices during the day. 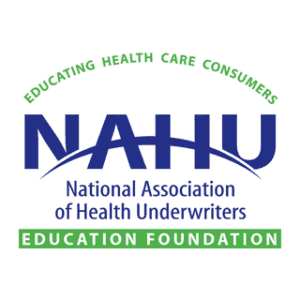 NAHU continues with their efforts to address the following in this new Congress – return to a 40 work week rule, permanent repeal of the HIT tax and the Excise/Cadillac tax, allowance of COBRA as creditable coverage, changes to Medicare Advantage plans, employer reporting improvements, HSA changes, MLR exclusion, etc. It was hoped that delay of the Cadillac Tax until 2023, delay of HIT Tax until 2022 and delay of the Medical Device Tax until 2025 would have been included in the overall budget bill that was to be passed by end of the 115th Congress. That did not happen and the government remains in a partial shutdown due to partisan disagreement over funding for additional border security and a barrier of some type on the southern border. This now means that even these bi-partisan fixes to the ACA will begin anew in the new Congress. Thankfully NAHU remains steadfast in moving these solutions forward. “Costs” to the budget still remain an obstacle to permanent repeal. However, with Democrats now in charge in of the pertinent committees, it may be more difficult to bring such items to the floor for a vote. It is still expected that the House Democrats will be pushing for various fixes to the ACA. Remember that all bills that did not get passed by end of the 115th Congress have to start over anew. This normally entails new sponsors, etc. And it’s likely this will mean working with Freshman Representatives and Senators to get their buy in. 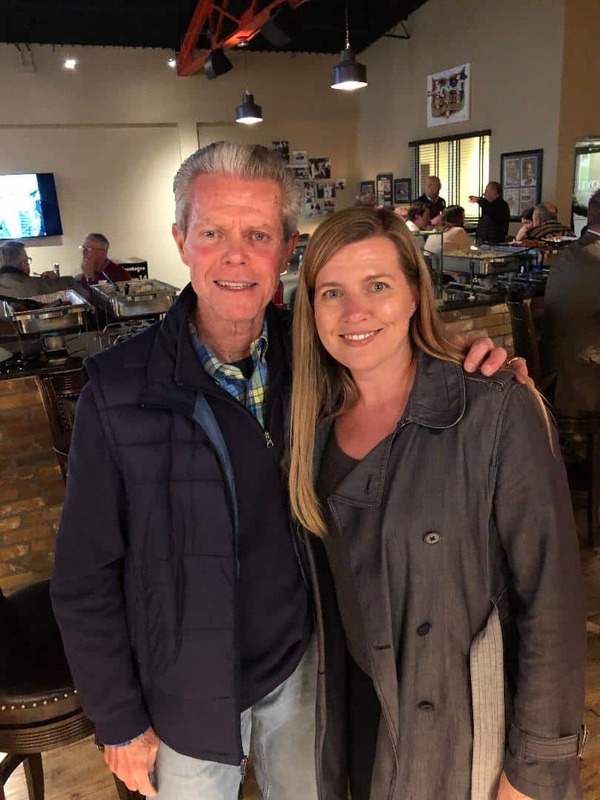 Republicans have maintained Super Majorities in both the House 67 – 33 and Senate 40 – 10 and current Republican Auditor, Secretary of State and Treasurer office holders were re-elected and all have been sworn in. All Party Leaders and Committee Chairs and Committee Members have been selected/assigned. As normal, your ISAHU Legislative team continues to develop and maintain relationships with appropriate leadership, committee chairs and committee members. More discussions have occurred and are planned with appropriate members in the Indiana House and Senate as well as Governor’s Office to discuss promoting Section 1332. The discussions will include such things as the possible use of risk pool federal and state funds to encourage more competition from a payer and plan standpoint. Use of non-compliant ACA product offerings is also a possibility. All new guidance from D.C. will be a part of discussions. Any updates on such discussions will continue to be shared. As I like to mention every month, the prevention of onerous bills making it through the legislature is due largely to ISAHU’s continued relationships with folks in the governor’s office, lieutenant governor’s office and those that support our industry overall. These relationships also directly impact the efforts of our ISAHU lobbying firm – Bose Public Affairs, plus the efforts of our sister organizations – Big I, PIA, NAIFA, Insurance Institute, IMA, IN Chamber and NFIB. 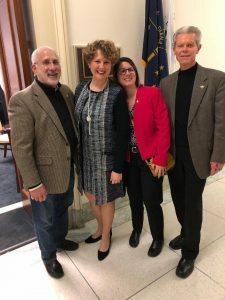 And it also affects the ongoing efforts of several ISAHU members who continue to work on maintaining such working relationships with legislators that may impact support for any legislation of assistance or detriment to the industry. Nothing to report this month. Meetings will be set as needed as more is known on their initiatives for the new session. The legislative committee has identified most of the specific individuals to be responsible for various product areas of the industry which should lead to better information sharing on an ongoing basis. This process is now scheduled to be totally completed by the end of the month. As stated above, David Berman, Susan Rider and D. Hall attended swearing-in festivities in Washington, D.C. on Jan 3rd. Meetings took place with Congressman Trey Hollingsworth (9th District), Congresswoman Susan Brooks (5th District), Senator Todd Young and Senator Mike Braun. We also met with office staff in the following congressional offices – Jim Baird, Andre Carson, Greg Pence and Jim Banks. These meetings will assist in setting up appointments with the legislators during Capital Conference. 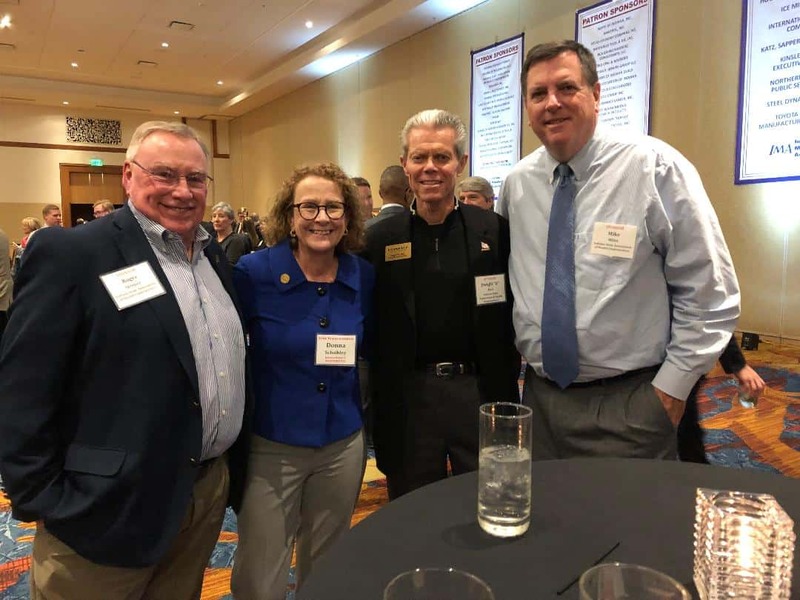 ISAHU-PAC Chair Roger Skinner, IAHU Leg Chair – Mike Miles, ISAHU Leg Committee Member David Berman and ISAHU Leg Chair – Dwight “D” Hall all attended the IMA Legislative Reception at the JW Marriott in downtown Indianapolis on Jan 9th. 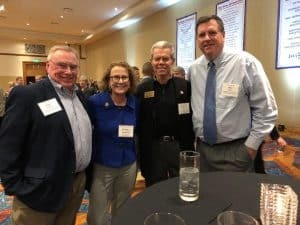 They had the opportunity to speak with various legislators such as Senator John Ruckelshaus and Representative Donna Schaibley plus Senator Todd Young’s Regional Director – Monica Kozlowski. Discussions also took place with other industry leaders, lobbyists, etc. Capitol Conference appointments are in process of being scheduled with all 11 Legislative offices. NAHU staff will continue to be a vital part of ongoing discussions with the new 116th Congress. Details are provided in the Washington Updates each Friday. Please be sure to read them which will assist you in responding to your client’s issues. I and the rest of the ISAHU Legislative Committee greatly appreciate the opportunity to work with you to continue to promote real market based healthcare reform. Please feel welcome to contact any of us at any time. 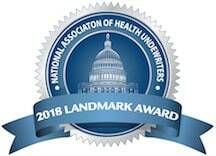 Thanks for all you do to improve the healthcare system for your clients!